Leading St. Charles home and commercial construction contractor Carmody Construction has been serving the residents and business of the Tri-Cities area since our founding in 1948. Located just a short distance away in Oswego, Carmody Construction completes St. Charles roofing, siding, window and remodeling jobs for demanding clients who expect the very best. We are a family owned business that prides itself on providing highly-rated, friendly hometown service. Our customers can also expect only the highest quality products will be used in their homes and businesses. 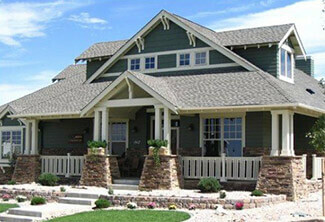 We work with construction vendors like Andersen Windows & Doors, CertainTeed and Marvin. Whether you’re looking to remodel a kitchen, bathroom or to refinish your basement, Carmody Construction is the St. Charles construction company you can trust. For your convenience, we offer 0 percent financing for up to 21 months. Live in St. Charles? Need Windows, Siding, or Roofing Services? Schedule an appointment today! Pat did a great job in providing and answering all my questions. The team that work on the project did a great job. They were all very professional and made sure the job was done right.